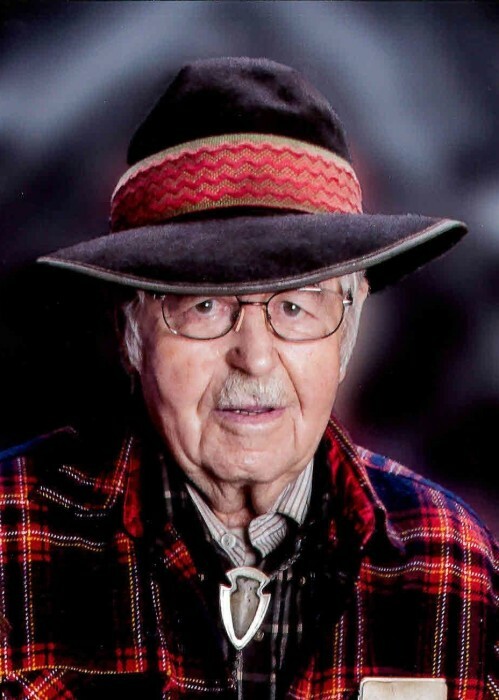 Obituary for Henry E. Kramer | Milkins Giles Funeral Home Inc.
Henry E. Kramer, 93, a resident of the Berks Leisure Living of Leesport, died Wednesday, Dec. 5, 2018, as a guest of the Wyomissing Health and Rehab. He was the widower of Betty M. (Beidler), to whom he shared almost 60 years of marriage. Born Sept. 30, 1925, Henry was the son of the late Sallie (Stupp) and Charles W. Kramer. Henry would frequent sales, flea markets and auctions and amassed quite the collection of antiques, primitive tools, and unique items. He had a vast knowledge of gasoline engines and how they operated, and he owned a huge collection of them. He loved spending his time making wooden wagons and wheelbarrows. He was always tinkering around in his workshop, garage, and many out buildings that stored his vast collections. Henry was quite the character. He always had amusing and funny things to say. There wasn’t a person he would meet that didn’t get by without hearing one of his funny sayings. He had a unique sense of humor that will be missed. You also would never see him without him wearing one of his decorated hats. He never left home without one on. Henry was a hard worker. He was employed by Bear Creek Construction as a heavy equipment operator for over 25 years. During that time, he worked away from home in nearby states, leaving early on a Monday morning and not returning until Friday night. He retired in 1987 and fully enjoyed his retirement. Henry was not one to take a vacation or travel. He loved being at home in the house he lived in for seventy years. Henry is survived by his children: Son, Jimmy L., husband of Kathy Kramer, of Bernville; Daughter, Annamae, wife of Lucas Wicks, of Bethel; Son, Richard A., husband of Sharon Kramer, of Rehrersburg. He is also survived by his grandchildren, Stefanie Kramer, Samantha Zerbe, Timothy Kramer, Jacalyn Kramer, Ricky Kramer, Mary Kramer, and Sarah Wicks. There are three great-grandchildren, Mason Zerbe, Rebecca Kramer, and Shelby Kramer. Henry is predeceased by his son, Eugene “Sonny” Kramer, his grandson, Brinton Wicks, and his brothers, William, Paul, and Harold. Honoring Henry’s wish, there are to be no services, and interment will be private.